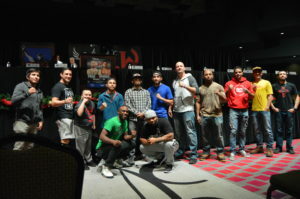 The Isleta Casino hosted the Fight Week press Conferences for JacksonWink Fight Night 2. Friday Night doors at the Isleta Casino open at 5:30, with the first fight scheduled for 7 pm MT. 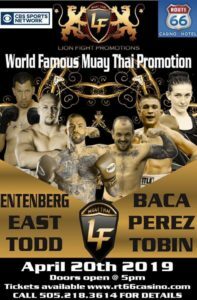 The card which you can see below is headlined by WEC & UFC vet, former Legcay FC Flyweight champion, Damacio “The Angel of Death” Page squaring off with Jesus Urbina, from 10th Planet in El Paso, Tx, who spent this camp with Uriajh Faber’s Team Alpha Male. At today’s press conference and in the video below you can hear from Damacio Page, Jesus Urbina, Majdeddine Ayadi, Cody East, Chris Brown, Wilfredo Santiago Jr., Maurice Jackson, Ray Vaiza, Vic Masayesva, Daniel Nieto, Ozzy Chavez, Diego Sanchez, & Issac “Sheminator” Marquez.